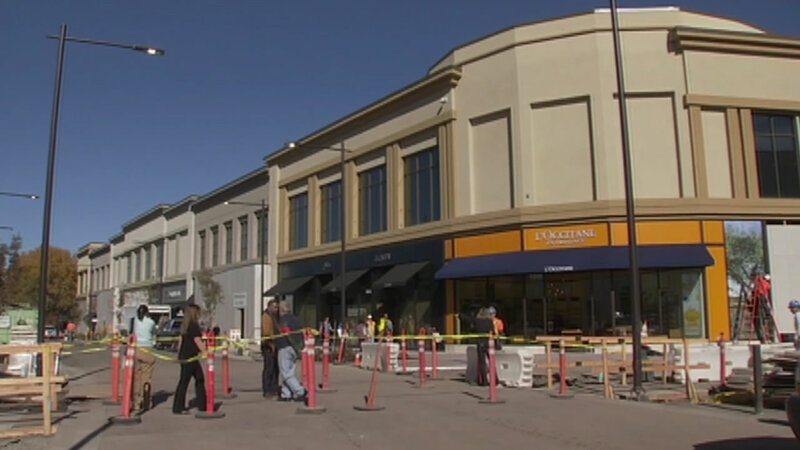 WALNUT CREEK, Calif. (KGO) -- After months of construction, some popular stores at a Walnut Creek shopping center are finally open for business. Broadway Plaza has been undergoing a $300 million renovation since March of 2014. There at 50 new stores and on Friday, Macy's reopened its expanded space. A spokesperson for Broadway Plaza said the work is coming along on schedule. "Parking is available. We'll have a complimentary valet program that'll continue to run throughout the holidays. We're bringing Santa back. He had to stay in the North Pole last year because of construction issues. So we're just excited to be back to tradition," spokesperson Tracy Dietlien said. The renovation will continue into the spring, culminating with a grand opening celebration.